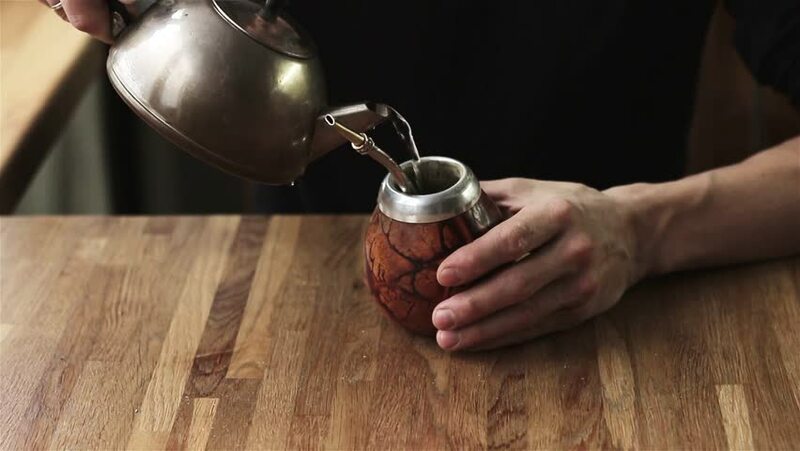 Close up of male hands preparing mate ethnic energetic drink Argentina Paraguay . man pouring water calabash gourd mate from metal kettle wooden table indoors process preparation shop advertisement. hd00:20This is a shot of two wedding rings being placed on the light brown table on the right side of the frame one on another with changing lighting. Locked down footage with the background being blurred. hd00:21Abstract, top down view of a pair of hands meeting over a table; an envelope is passed forward and exchanged for a hand gun after which the characters toast a drink together. hd00:08Abstract, top down view of a pair of hands during a transaction as a man buys a bottle of beer from the other.